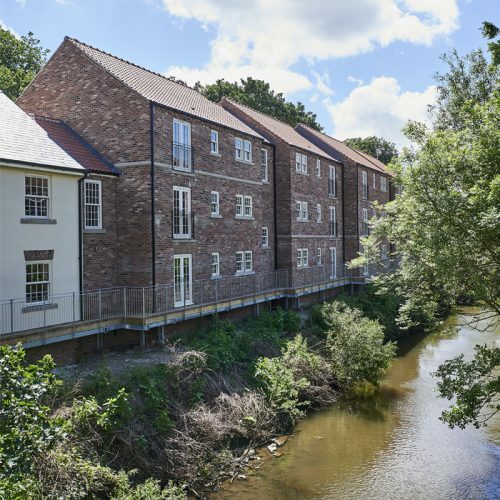 The Thirsk Apartments project is one of a portfolio of works on going with Palladian York and centres around a picturesque river side site in the small market town of Thirsk. 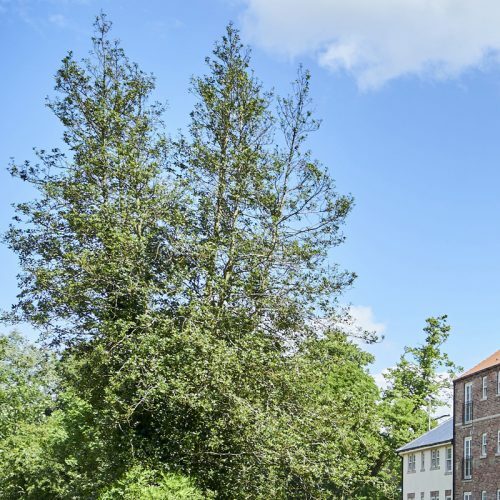 With an existing approved planning application associated with the site it fell to QAD to review the existing scheme. It was then decided that a new planning application was required with the floor levels from the existing planning application to be used. 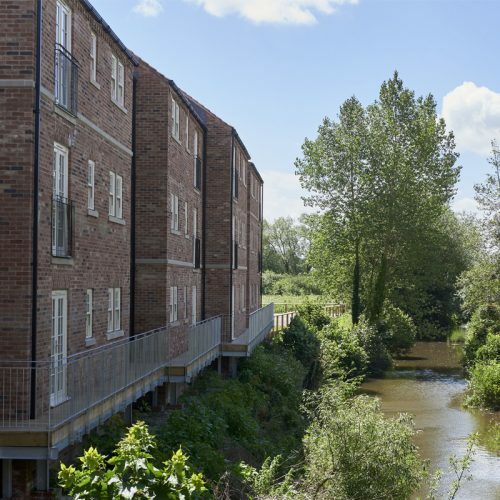 The site proved to be quite complex, the river being a significant design constraint due to the challenges of building within a flood risk area. 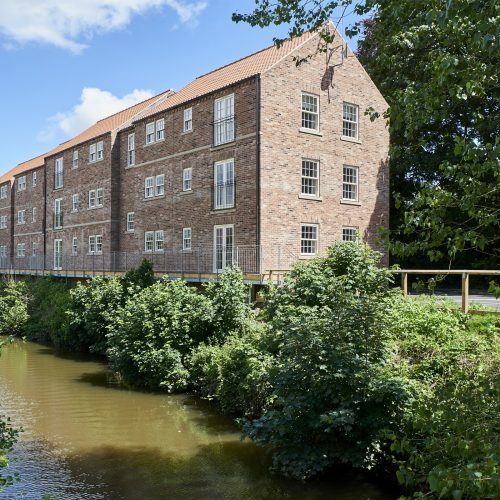 The site was also located within the Thirsk and Sowerby conservation area which meant massing and material treatment was a highly important component of the build. 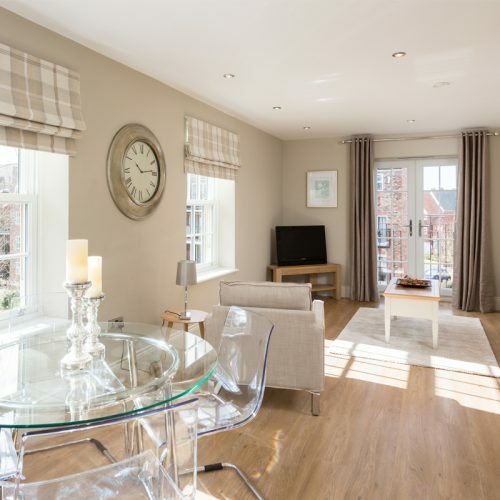 Once planning was achieved a timber frame construction package was composed which adhered to the Robust Detail requirements. Subsequent to this a building control package was compiled and submitted for approval. 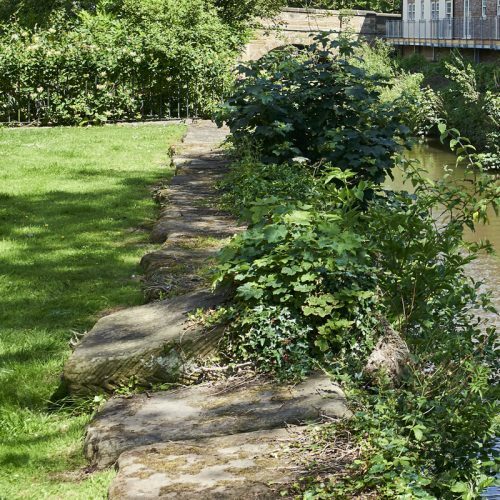 Additional work was undertaken to discharge the various planning conditions during the construction period.